In January, we kicked off our Exercise Your Impact campaign. Throughout 2019 we’re sharing tools and resources that highlight critical phases of organizational planning. Our first quarter focus is on the first phase: Strategic Planning. As we finish out the quarter, we want to provide some tips on how to use and implement your strategic plan. In a previous blog series, we highlighted the 4 steps of strategic planning and detailed each step (step 1, step 2, step 3, step 4). But what happens once you’ve completed those steps? We often find that organizations get stuck on figuring out how to take the big picture elements in the strategic plan and make them operational. To avoid this, we create an “implementation plan” during Step 4. This implementation plan unpacks the strategic plan into actionable steps. It provides your organization with a road map for how to accomplish the goals identified in the strategic plan. 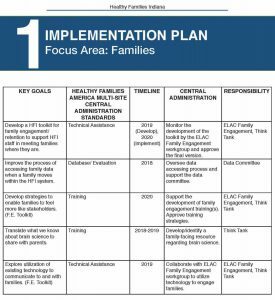 We recently worked with Healthy Families Indiana (HFI) to help them develop their strategic plan, including a detailed implementation plan. We are currently helping them implement the plan while providing project management support for their Think Tank. The following four components are key pieces of any implementation plan. Strategies/Goals: It is important to include any priorities and goals that are set within your strategic plan in your implementation plan. For example, one of HFI’s key goals from their strategic plan is to translate information about brain science to share with parents. Including this goal in the implementation plan ensured that they had a detailed plan to actually achieve it. Action steps: For each strategy/goal, the implementation plan will spell out action steps to help your organization meet that goal. The tasks associated with the HFI goal listed above included developing or identifying a family-facing brain science resource to share with parents. Timeline: The implementation plan will indicate which year you plan to complete each task. For example, if you have set a three-year strategic plan, it is important to evenly schedule tasks out over those three years. For example, HFI determined that in their long-term schedule, developing and/or identifying family facing brain science resources would fit best within 2019. Responsibility: It is important that the implementation plan indicate who is responsible for completing each task. Identifying those responsible helps to ensure accountability and track progress. The responsible party could be a group or individual. They could be staff, board members, or a committee. HFI identified the Think Tank as being the most appropriate group to complete the task outlined in the previous components. When carrying out an implementation plan, it is important to establish a procedure to track progress on tasks. For example, we’ve done this for clients by creating a spreadsheet that they can update on a quarterly basis to track actions they’ve taken. An organization can update their implementation plan over time if needed. Tasks may take a longer or shorter amount of time than anticipated, so it is appropriate to update timelines as you go. TCG is privileged to work with organizations at all stages of the strategic planning and implementation process. We are currently helping another client, Manchester Early Learning Center, finalize their strategic plan. We’re excited to watch them carry it out! As we finish the first quarter of 2019, we’re also looking forward to the second ‘leg’ of our Exercise Your Impact campaign: Program Development. Once you have set the strategic vision for your organization it is time to take a closer look at your program(s) to assess whether your current programming is in a place to help you achieve that vision. Contact us today to see how we can assist you with your strategic planning or programming needs! When awarding funding, philanthropic funders want to invest in “what works” and is proven effective. Many funders show preference for programs and practices that are evidence-based. Implementing an evidence-based program is a great way for grant seekers to demonstrate that they are also committed to “what works”. For example, the Richard M. Fairbanks Foundation recently awarded funding to over 20 schools and school districts as part of their Prevention Matters initiative. Prevention Matters is a three-year grant initiative aiming to help Marion County schools identify, implement and sustain proven substance use prevention programs. To apply for this funding, schools selected an evidence-based substance use prevention program that aligned with their needs. In their proposal, schools had to demonstrate that they had a strong plan for implementation and sustainability. Developing such a plan can be a daunting task, but is crucial for successful implementation. We worked with Bishop Chatard and the North Deanery Schools of the Archdiocese of Indianapolis to help them develop their implementation plan and proposal (Which was fully funded by the Fairbanks Foundation! Learn more about our fundraising services here.). Here are 5 tips we used to help them prepare to successfully implement their evidence-based program! First, you need to find a program that aligns with the needs you are trying to address. For example, if you are a school looking to prevent substance use and violence, while also promoting positive youth development, you may choose to implement the Botvin LifeSkills Training curriculum. Taking the time to research available programs is crucial to ensuring successful implementation and maximum impact. To learn more about how to find an evidence based program, check out this blog! Once you have selected an appropriate evidence-based program, it is important to assess your current funding and staffing capacity. You want to assess if your current organizational capacity will allow you to implement the program with fidelity. Fidelity refers to the extent to which you deliver your program as the original program model intended. Evidence-based programs are proven effective and that effectiveness relates to how the program is implemented. Therefore, fidelity to the model is crucial to successful implementation. Completing a feasibility study is a great way to assess your capacity and readiness. A well designed feasibility study will help an organization assess 1) if what they are thinking of implementing is possible and 2) how to consider implementing it. Check out this blog to learn more about completing a feasibility study. The assessment of your capacity may indicate that you need to make some organizational changes. For example, you might need to tweak your program budget to purchase necessary materials and/or hire additional staff. Making these operational and workforce investments will lead to more successful implementation and program outcomes. Next, it’s time to flesh out your implementation plan. This plan should include a timeline and should specify staff members’ responsibilities for program related tasks. Many evidence-based programs have a set number of required sessions and guidelines for how frequently they should occur. Make sure that your implementation plan aligns with program requirements. Once you create your implementation plan, provide training for staff involved in the implementation. Involved staff should have a clear understanding of the program goals, activities, and their responsibilities throughout implementation. Your implementation plan should also include continued professional development opportunities and training for staff, to ensure continued high quality implementation. Once you begin implementing the program, you want to continuously monitor your fidelity to the program model. Many evidence-based programs come with accompanying fidelity checklists. It is important to identify a staff member, or an outside evaluator, who will conduct observations of the program to evaluate the implementation. You can use observations and fidelity checklists to assess if the program’s implementation is consistent with the original program model. If your organization is looking for support in choosing, implementing or evaluating an evidence-based program, contact us today to learn more about our program development and evaluation services! Your Project Is Feasible. Now How Do You Implement It? You completed a feasibility study and found out that your project is feasible! Now it’s time for the work of actually implementing your project or new program. What are your next steps? 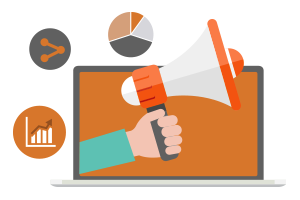 Your implementation plan will include 4 focus areas: program design, staff, communications/ marketing, and budget. Here are some specific action items to get you on your way to full implementation! A well-designed program will enable you to have the greatest possible impact. Your feasibility study helped you make sure that the elements of your program are informed by the outcomes you want to achieve. Now it’s time to purchase the necessary materials, including the curriculum, as well as necessary office and program supplies. You will also want to have a method of evaluation in place from the start. You can set this up internally or hire an external evaluator. The evaluation process will help you adjust to changing needs and improve upon your practices. Decide on the process you will use, purchase a database if necessary, and write standard operating procedures for your staff. You will likely be looking to hire and train new staff in order to fully implement your program. For this, you can rely in part on the information in your feasibility study. In addition, use what you and your leadership team have done in the past when hiring new staff. Your feasibility study will help you determine how many staff to hire in your first year. During the first year, you will still be in the process of ramping up to full capacity. Then, determine how many staff are needed once you are operating your fully developed program. You might also work on partnerships with local higher education institutions, workforce boards, and other critical groups to support staffing your new program. You started developing partnerships with key stakeholders when you engaged them during your feasibility study. Continue to keep these partners informed and engaged as you make progress! During project implementation, you may want to form relationships with additional partners as well. These partnerships are an essential part of your overarching communications and marketing plan. 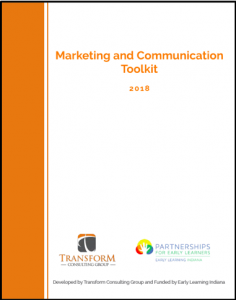 Your marketing strategies will be important as you build your program, begin program enrollment, and communicate its value to your prospective clients and the broader community. Your goals are to attract your target clients to your program, build community buy-in, and increase awareness of prospective donors of the positive impact of your program. Start using the marketing tactics and timeline you identified in your feasibility study. Create a website, or add onto your existing website with information specific to this project. Send a press release to local media to announce your program launch. Create social media pages for your new program, or add the new information to your existing pages. Use the information in your feasibility study to put together a detailed start-up budget. Remember to account for all your projected initial costs. Then, create a budget for each of your first 3 years of operation. For your first year, you will likely not build out your full model. To inform your year-one budget, determine how many clients it is feasible to serve in that first year before you have built up your program’s capacity. When filling in your budget for your second year, account for increases in revenue and expenses for operating at full capacity. As you look to year three, quantify projected changes you expect to see after two years of operation. You will set yourself up for success by budgeting for start-up expenses, as well as the changes you will see in the initial years of operation. As you identify the amount of revenue needed to implement your program, create a fund development action plan to secure sustainable funding. 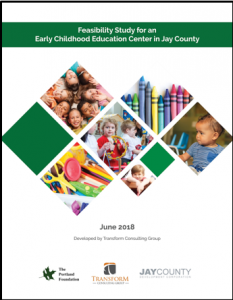 We recently completed a feasibility study for early learning stakeholders in Jay County. Now they are sharing the study results with a broader array of partners. Then, they will determine how to get from where they are now to full program implementation. If you’re interested in completing a feasibility study or taking the the next step toward program implementation, we’d love to help! Contact us today! What is the Breakeven Point for Your Early Childhood Education Program? For early childhood education programs, as well as other nonprofits, it is important to know the organization’s “breakeven point.” This is the point at which your expenses and revenue break even, meaning you have enough funding to run your program. Operating a high-quality early childhood education program is expensive. Child Care Aware of America produced a report in 2017 called Parents and the High Cost of Care. This report discusses the aspects of high-quality programs that drive up the cost. It also acknowledges the gap between the cost of operating a program and the amount that families can afford to pay. Often, program administrators cannot pass that entire expense on to families of young children because most families cannot afford the full cost. Child Care Aware of America finds that nationally, on average, married couples spend 10% of their income on child care for one child while single parents spend 36%. Therefore, many programs end up stitching together various funding streams in order to make it to their breakeven point. At Transform Consulting Group, we’ve partnered with Early Learning Indiana on a project designed to improve the financial stability and sustainability of early childhood education programs. We’re currently working with 10 early childhood education programs in Indiana to help them access new funding streams and accomplish their financial goals. For many programs, their financial goal was to improve their internal systems, procedures, and accounting practices. They did not know exactly how much they needed to bring in weekly, monthly, or annually to meet their financial obligations—let alone make any changes, such as increasing staff wages, expanding to serve more children, or implementing a scholarship or tuition assistance program. For this project, we adapted a tool developed by First Children’s Finance that helps programs determine their breakeven point. 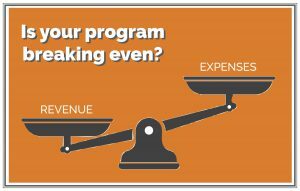 This tool enables programs to determine the total expenses and revenue of their overall program. It also calculates the number of children they need to enroll in each classroom in order for each room to break even. If your program doesn’t already calculate your breakeven points, there are many reasons to start now! Why Calculate Your Breakeven Point? Calculating your breakeven point for your overall program and each classroom tells you whether or not your current levels of revenue truly cover all your expenses. Many early childhood education programs know that the tuition parents can afford to pay does not cover their costs, but they may not know what their true deficit is. Other programs know their overall annual surplus or deficit, but they don’t know how much revenue they need to break even in each classroom. For example, it is more expensive to operate infant classrooms than preschool classrooms. If you calculate your breakeven points, you may learn that enrolling your preschool rooms at 90% of their capacity will cover the deficit in your infant rooms. Infant care is a significant need in most communities and therefore it is likely an important part of the mission of an early childhood education program. Because of this, programs accept the fact that they will have a deficit in those rooms, but now they can move forward with a plan to recoup their losses. As in the example above, other types of nonprofits also need to be aware not only of their overall breakeven point, but also the breakeven points of their various programs. An after-school organization might run an arts program, a sports program, and an academic enrichment program. The after-school leadership team may learn that the arts program isn’t currently breaking even but scaling up the program would help the bottom line. When Should You Calculate Your Breakeven Point? One of the ten early childhood education programs we worked with during this project was Mt. Pleasant Child Development Center. They were excited to be able to use the breakeven tool as a check on how each of their classrooms’ breakeven points factor into their budget. They also wanted to use the information gleaned from the tool to determine how much funding they can reinvest in their staff benefits. At TCG, we understand that performing this kind of financial assessment can be difficult and time-consuming. If your program needs support with evaluating your current budget or help with achieving your future goals, contact us today! A fund development case statement is a broad three- to five-page overview of your nonprofit organization that highlights who you are and what sets you apart from other similar nonprofits. Your case statement sets a foundation for grant applications and donation requests. 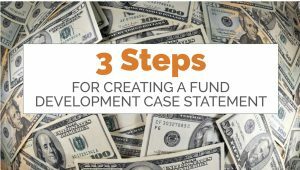 At Transform Consulting Group, we use 3 steps when partnering with organizations to create a fund development case statement. We recently used these steps to develop a case statement for the Johnson County Learning Center (JCLC): Early Learning Community. JCLC provides early childhood education for families in Johnson County. Right now, they are seeking to increase their overall funding and diversify their funding streams. They are new to fund development, so one of our solutions was to help develop their case statement. Step 1: What is the Need? Demographics: Who is your target population? What are some key data points that characterize them and demonstrate their unmet need? Services: Is there a lack of services like yours? Are you filling a critical gap? Do you provide speciality services that are needed and missing? Research: What does the literature say about why your work matters? What studies have been done that demonstrate the importance of your work and cause? Tip: Use available, relevant information. Perhaps organizations in your community or region have conducted needs assessments. For state and national data sources, check out our blog. For JCLC’s case statement, we used Census data to help funders and donors get a sense of the community’s demographics. Since they work in the early learning and education industry, we pulled data from the Indiana Early Learning Advisory Committee’s (ELAC) county profiles and interactive dashboard and the Indiana Department of Education. Step 2: What are You Currently Doing? Programming: What are the programs and services that you offer? What makes them uniquely effective? Impact: What are your results and accomplishments, including the numbers served and outcomes? What positive trends or recent changes have you identified? Stories: Who can tell personal stories about the positive impact of your organization in their lives? Tip: Use existing language from your website, annual report, and newsletters. JCLC had already developed content for their website to communicate their mission and programming. In addition, they pulled some data reports to provide more detail about their reach and partnerships. We were able to use their existing language and data as a foundation for their fund development case statement. Step 3: What are Your Plans for the Future? Unmet Need: Why do you want this grant funding? Is there a population or geographic area you are unable to serve? Your Case: How is what you are currently doing (while great) not enough to meet the compelling need? What are your limitations? Your Proposal: How would you use the funding in order to meet the need? Expand Services: Is the need overwhelming and you need to serve more? Enhance Services: Do you need to refine your services or programs in a particular way, such as specializing or retooling them to meet the needs of the target population? Launch New Services: Do you need to start something new to fill a gap, perhaps based on new research; a new community needs assessment; or a changing target population? Tip: There’s no need to start from scratch if you don’t have to! 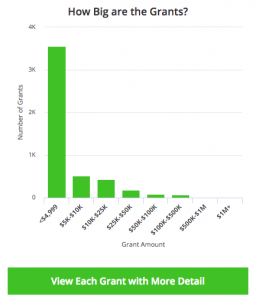 Consider if you have written similar information for other grants or reporting requirements. More than likely you have this information in multiple places and just need to thoughtfully pull it together. Data from ELAC and Child Care Aware of America shows that in Johnson County, there are many families who cannot afford the cost of early childhood education. At the same time, a growing body of research shows the positive impact for children, especially low-income children, attending a high-quality early education program. These children can achieve positive academic, social, and economic outcomes (ELAC Annual Report, 2018). There is a need for community investment to create a more robust scholarship program that would help make sure all families can access the education needed for their youngest children. Now, JCLC will share this data with local funders to seek the specific dollar amounts necessary to increase the number of children served by their scholarship program. If your nonprofit needs to seek additional funding or you would like help reviewing or creating a fund development case statement, contact us today to get your organization on the way to financial strength and sustainability! If you are looking to make a change in your organization, then you may want to start by benchmarking the practices of organizations similar to yours. There’s no need to spend your valuable time and energy reinventing the wheel. There are other organizations with programs similar to yours, in regions similar to yours, with funding needs similar to yours. Learn from them! 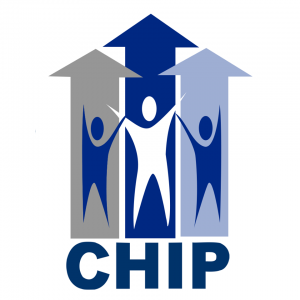 Transform Consulting Group recently went through the process of benchmarking other nonprofit organizations for our client, CHIP: The Coalition for Homelessness Intervention & Prevention. CHIP is in the process of growing its programming and is seeking to partner with new funders. One reason you might benefit from benchmarking is if you want to change your programming or expand to serve different clients or another location. Start by benchmarking the best practices of organizations with similar programming—both locally and in other regions similar to yours. Then, focus on nonprofits that have already successfully navigated a comparable change or expansion. For our work with CHIP, they were already experts on funding sources of local homeless service providers since they function as a leader in the homelessness system in Indianapolis. We were able to help them by benchmarking other homeless service system leaders in similar cities across the country. Through this process, we identified different funding streams that CHIP is now leveraging. We also investigated various ways that other organizations have developed partnerships with homeless service providers, as well as public-private partnerships. Then, we analyzed the aspects of these structures that aligned with CHIP’s goals for development and expansion. Another reason benchmarking may benefit your organization is if you want to diversify your funding streams. First, research organizations with similar programming in different regions to learn about funders and funding sources that may also be available to you. Then, benchmark other organizations in your region with programming that is different from yours. Some of those organizations’ funding strategies may be applicable to you. 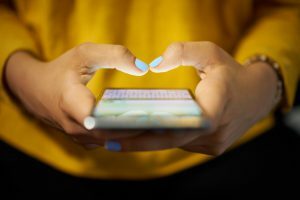 Online Research – In today’s Information Age, the majority of information that we want to know is readily available at our fingertips. Doing research online goes beyond just looking at an organization’s website. You can dig deeper by looking at their annual reports and other publications. In addition, remember to check out their social media posts for more information about how they operate. Also, use a search engine, such as Google, to find out what others are saying about the organization. Review 990s – Some nonprofit organizations share detailed information about their funding sources on their website or in their annual reports, but others do not. Most nonprofits have to file an annual tax form called a Form 990. If an organization doesn’t put it on their website, you can find their 990 elsewhere online. Since our work with CHIP is centered on fund development, we paid particular attention to 990s in our research. We analyzed and compared the amount of funding coming from various sources, such as philanthropic grants, member dues, and government grants. Key Informant Interviews – Electronic research is very useful, but sometimes you can learn more from a conversation with an expert. If you identify a few organizations that are very relevant to your work and goals, then reach out to staff there. Before your conversation with them, be sure to plan your questions ahead of time. Keep your questions focused on your goals in order to make the most of your time and theirs! Track your findings, and synthesize what you’ve learned! Before starting your research, set up a tracking system that works for you and your team. Then, document what you learn. Finally, figure out how your learnings can positively impact your organization! These are some key indicators you may want to track. If your organization wants to make a change in order to have a bigger impact, Transform Consulting Group can help you with the necessary research & analysis to achieve your goals. Contact us today to get started! Whether you’re a seasoned grant writer or just starting out, it can be a challenge to find possible grant opportunities. In today’s information age, the internet is an incredible resource to find information on potential funders. However, not all funders who award grants have an online presence. In fact, only 10% of foundations have a website. Another useful strategy for finding possible grants is through word of mouth in your local community and region. If you rely only on the internet and relationships for possible fuding, then your organization may be missing out on potential grant opportunities to support your fund development goals. One of our “go-to” sources is the Foundation Directory Online (FDO) database. FDO is one of the services provided by Foundation Center. There is a fee to access the information in their database, but we find that it is worth it due to the amount of information that you will be able to gather, as well as the ease of searching in their database. Find Possible New Funders – You may have an idea for a new project, or you might want to expand an existing part of your programming. In order to accomplish this, you need to find funders with available grant opportunities that could support your goals. The FDO search fields let you specify the subject of your project or program, your geographic area, and the population you serve (e.g. youth or veterans). 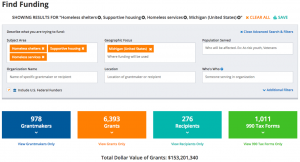 For example, if you want to find funders that would support your homeless programs in Michigan, you could type in those categories to find possible funders. You can add more layers to the search to narrow the focus or remove restrictions to broaden it. You can save your search criteria each time, allowing you to come back to your results as needed. Some private and corporate foundations, particularly larger ones, have websites with detailed information about the types of projects and programs they fund, as well as their grant application process. In these cases, it is typically best to rely on the information on funders’ websites, rather than the FDO database, since it may take some time for FDO to be updated. The Joyce Foundation is an example of a funder with a lots of detail about projects they have funded on their website. However, when foundation websites do not exist or do not contain enough information, FDO can fill in those gaps. Complete Prospect Research on Funders – Let’s say that you recently learned about a local or national funder, and you want to find out if they would be a good partner for your organization. You can search FDO for information about that particular funder, including the types of projects they have previously funded. You may also want to find out how much you should ask for in a grant, so you could use FDO to find information on their past grantee award amounts. FDO lists each grant made by each funder, the dollar amount of each grant, and the reipient of each grant. They also compile data in chartsand graphs, giving you quick access to summaries, along with the option to click for more detail. Pro Tip: Sometimes funders have a different legal name than the name you know. If you’re having trouble finding them by their organization name, you can do a keyword search. Benchmark Other Nonprofit Organizations – Nonprofits can also learn from other similar organizations in the same region or industry. FDO can help you benchmark the funding strategies of those organizations. Search for similar nonprofits by name or keyword to find out what kind of funding they have received in the past. The process of seeking grants from private and corporate foundations often requires some level of relationship-building with staff at the foundation. Once you have identified potential funders that fit your subject area, geographic region, and population served, then you need to determine how to approach the foundation about funding your project. Many foundations note that they do not accept unsolicited grant applications. This usually means they want to have a conversation with you or receive a Letter of Inquiry from you to get an overview of your organization before you submit a proposal. 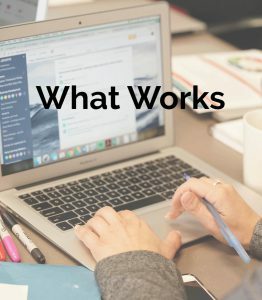 This will help them determine if it is worth your time to prepare a detailed grant application or if your proposal does not match their funding goals. FDO compiles information from many sources, including foundation websites and 990 tax forms. If you access FDO, then you do not have to conduct this research yourself. 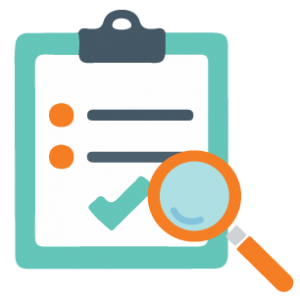 Some of the most helpful information in FDO is found on each funder’s Grantmaker Record page, and we have found some good ways to search for results. As you navigate FDO, it is important to remember that what you type into each search field continues to impact the records you pull up. For example, if you type “Indianapolis Colts” into the keyword field and then click on the Grantmaker Record for Indianapolis Colts, Inc. Corporate Giving Program, you will not see the full information about this grantmaker. Instead, now that your “Indianapolis Colts” search pulled up the full name of this grantmaker, copy the full name and then clear that search. Next, go to the “Organization Name” field and paste or begin typing “Indianapolis Colts, Inc. Corporate Giving Program.” Once that name pops up as a choice, select it, and click search. Now, when you click on that Grantmaker Record, you will see all the details about this funder. Some organizations, like Central Indiana Community Foundation, both receive grants and give grants. Therefore, FDO has both a “Recipient Record” and a “Grantmaker Record” for them. Be sure you are looking at the right record in order to get the information you are seeking. Within the Grantmaker Record, you can filter your results to focus in on only previous grants given to organizations similar to yours, projects like yours, or programs in your geographic area. As you move from screen to screen, be sure that the tabs and filters selected are the ones you want to see. If your nonprofit organization is on the smaller side, you may find that the costs of a subscription outweigh the benefits. You can always do your own research into prospective funders’ 990 tax forms. Check out our blog on 990s and this free resource for finding 990 forms. Whether your nonprofit is large or small, Transform Consulting Group can help you navigate grant research and writing! Contact us today to get started. 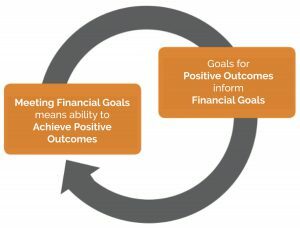 Your organization probably has a mission statement and strategies in place for achieving your program goals, but do you also have concrete financial goals? Whether you administer a nonprofit, faith-based organization, or a small business, you have to think about the financial health of your organization. Your mission and program goals are, by definition, tied to financial goals. Serving your clients and families, as well as paying your staff, requires funding. If you haven’t thought about the health of your current budget or your future financial goals, now is the time! The 4 steps outlined below can guide you. Step 1: Assess your organization’s finances. First, you may need to spend time reviewing your current revenue, expenses, and the quality of your bookkeeping. In this process, engage your leadership team, board of directors, and/or financial consultants. If needed, determine how to improve your accounting practices. Keep in mind that accounting and other supportive services are part of what enables your programming to have the desired impact. If your organization is not consistently breaking even, then that will inform your financial goals. If your revenue exceeds your costs, how are you reinvesting it in your mission? Step 2: Set specific goals for your program, such as increasing funding or serving more clients. Separate from the process of reviewing your budget, do you have ideas for the future of your program? Does your organization have an up-to-date strategic plan? In your planning process, did you start by determining the end results that you want to see? What are your plans for program improvement? Is your organization looking to replicate its services in another geographic region? Did your needs assessment indicate that you should expand to serve a broader range of clients and families? As you are going through the process of turning big ideas into program goals, be sure that you make your goals Specific, Measurable, Attainable, Relevant, and Timely, or SMART. Step 3: Set financial goals that will enable you to meet your program goals. What will it cost to meet these goals? You may have some goals for your organization that do not require additional funding. Perhaps you need to prioritize your current funding and/or staff time. Other goals, like serving additional clients, expanding to a new region, and increasing staff wages, do require additional funding. Quantify your specific short-term and long-term funding goals. 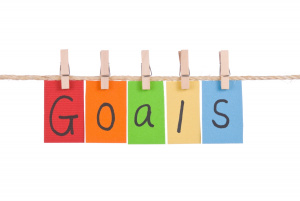 Then, specify how these goals help you achieve your desired outcomes. Step 4: Develop specific strategies to accomplish your financial goals. One possible strategy is decreasing your current costs. Review your spending from the past few years to see if there are opportunities to save money. You may find that your organization is using resources for activities that are not as closely tied to your mission as they should be. Could you negotiate with any of your vendors for lower service fees? Bringing in additional revenue can be a daunting task. Break it down into smaller pieces. What type of funding are you already accessing that could be increased? Could you raise more from individual or corporate donors? Could you increase your fees for services? What other funding sources are you not already accessing? Could you write a grant for the first time? Is there government funding available that supports your field? As you assess the overall health of your organization, remember to focus on areas in which your background is not strong. If you are the director of early childhood education program, then your experience and education is likely in the field of child development. You probably have a lot of ideas to improve the quality of education at your program. Also be sure to consult experts in other areas, like finance, to ensure you are making the most impact! Our team is currently engaged in a project funded by Partnerships for Early Learners, a program of Early Learning Indiana. We are working with 10 early learning programs across Indiana to help them meet their financial goals. Going through this 4-step process is different for each program. The programs are structured differently and bring unique skills to the table. Despite their differences, each program has been able to set specific goals and find funding strategies that will work best for them. If you’re ready to jump into this process and need some help with goal setting or fund development, contact us at Transform Consulting Group for a free consultation! Shared Services: How Can Your Organization Maximize Impact While Minimizing Costs? Many organizations struggle to secure enough funding to have the maximum impact on the goals aligned to their mission. In addition to seeking new funding to support your organization’s goals, you can examine your current expenses to find ways of reducing costs in order to put more money into programs that help accomplish your mission. There is a national trend of small and medium-size organizations coming together to “share services,” specifically noncore business services. If your business or organization is small, you may not have the budget to enable you to hire specialists on your staff for all operations, such as payroll, human resources, marketing, and accounting. By participating in shared services, your organization might be increasing your funding by lowering your costs! Is Using Shared Services Right For Your Organization? Shared services can take different forms, but typically a supporting organization has staff that handle operations for member organizations. Member organizations pay fees to receive shared services. These fees are often lower than the cost of employing in-house specialized staff or seeking these services independently. While guidelines can vary, in general, any organization or business—for-profit or nonprofit—can use shared services. Smaller organizations may reap more benefits, but larger entities are not prohibited from participating. Members must be willing to disclose their financial and business practices. This may feel uncomfortable for some. However, it allows members to get the full benefits of the shared knowledge and expertise of centralized staff. Individual organizations maintain autonomy over some decisions—such as personnel management. However, issues related to centralized services require collaboration. What Do Shared Services Look Like In Action? Transform Consulting Group actually uses shared services in our business model! Human Capital Concepts (HCC) provides us with human resources expertise, as well as payroll and benefits administration. HCC is a Professional Employer Organization (PEO), which means that our Transform staff members are co-employed by HCC along with their other clients. Therefore, we are part of a larger employee pool—allowing us to get the best rates for our health insurance and 401K plans. As a small business, we don’t have to worry about having a human resources director in order to maintain compliance with state and federal laws. Because of the services we receive from HCC, we can focus on projects that advance our mission! Chambliss Center for Children in Chattanooga, TN is a nonprofit organization that operates an early childhood care and education program that serves over 300 children. In addition to operating their own site, they have management agreements with 5 other early childhood programs in the community. Administrative staff at Chambliss Center for Children manage the day-to-day operations of these 5 programs, but each of the programs has their own board of directors. Some of the services include payroll and benefits administration; insurance contract coordination; maintenance; and purchasing of food and supplies. The programs report that some of the positive impacts for them are the ability to increase teacher wages; decreased staff turnover; and improved program quality! What Can You Do If You’re Interested? Contact local and statewide partners to learn about shared services providers in your area. 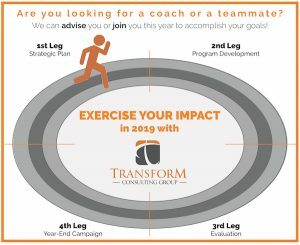 Transform Consulting Group provides an array of services related to fundraising strategies. Shared services may be a good fit for your organization as one piece of your overall fund development plan. For more information about increasing your impact while decreasing your costs, contact us for a free consultation!